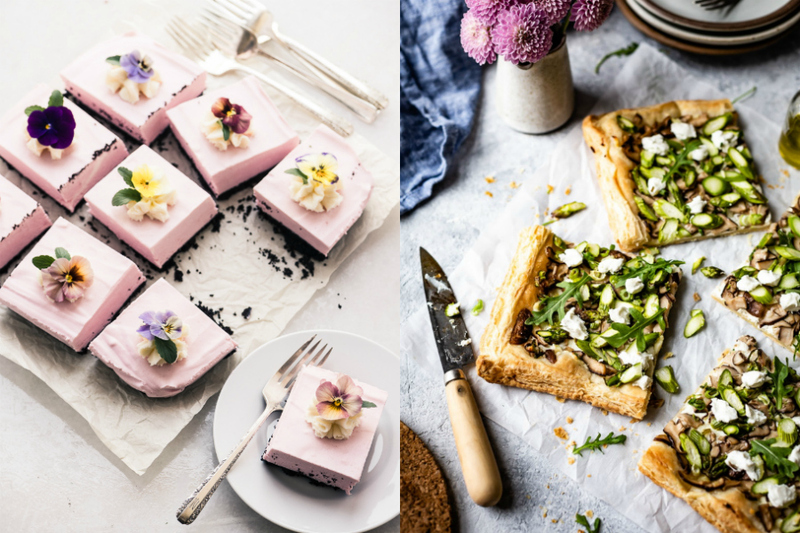 So to make life a little easier on the parentfolk who would also rather spend Easter with family instead of your 350° oven, I’ve rounded up 7 terrific make-ahead Easter brunch recipes, including salad, mains, and well, one dessert. Because more dessert is definitely what I need after consuming 8 Cadbury eggs in one morning. Hey, it’s Easter! 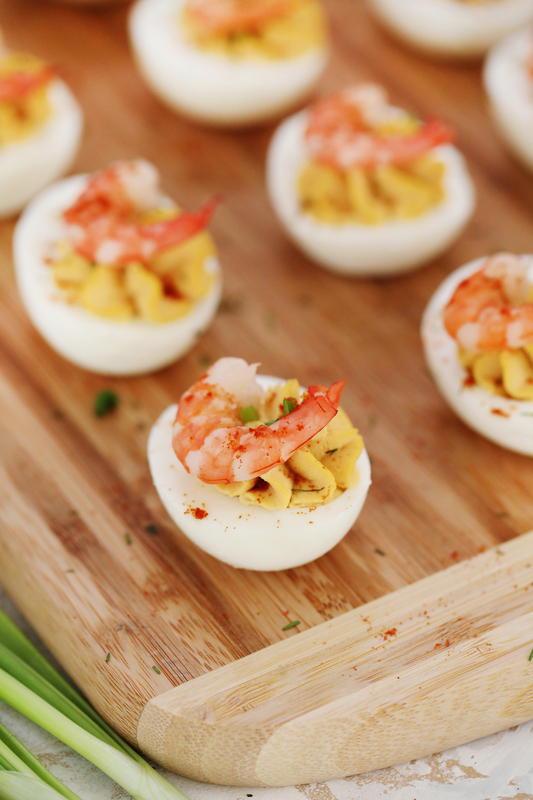 Deviled eggs are a Southern essential, and I’m loving that these Deviled Eggs with Old Bay Shrimp at Sweet & Savory have a clever seafood twist to keep things interesting, and offer up some more protein. You can go easy on the Old Bay if you have picky eaters (though we all looooove Old Bay.) Plus, if you keep the the main elements of the recipe separate, you can prepare these little treats up to 3 days in advance. 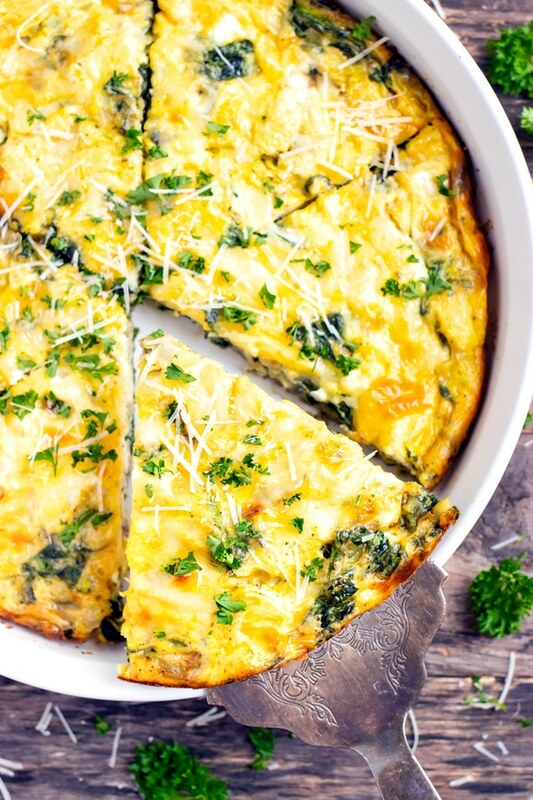 To me, brunch is never complete without some sort of baked egg and veggie concoction, which is why this Crustless Spinach Quiche recipe grabbed me. 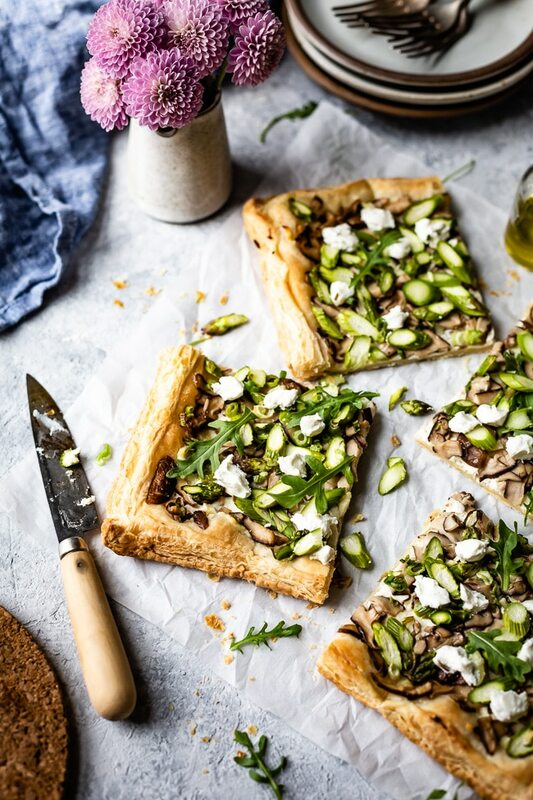 I love that London at Evolving Table has lightened up the traditional quiche recipe by removing the crust, and that she includes variations for those who want meat or extra veggies. With all the candy we’re eating on Easter, it’s smart to work in some leafy greens. And this Kale Salad with Bacon and Blue Cheese at Gimme Some Oven is totally calling my name. 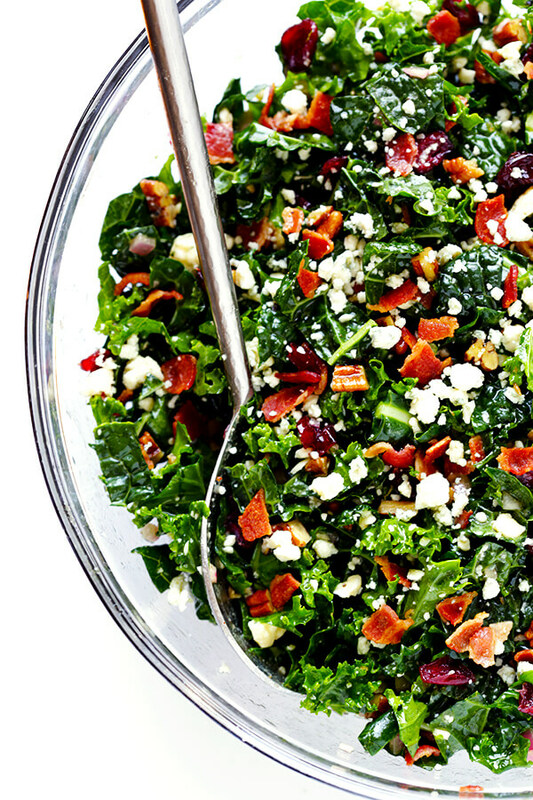 I always go for kale for make-ahead salads since it doesn’t wilt like lettuce, and the bacon and blue cheese help keep it satisfying. You can even toss some chicken in if you’d like it to be more of a main than a side. 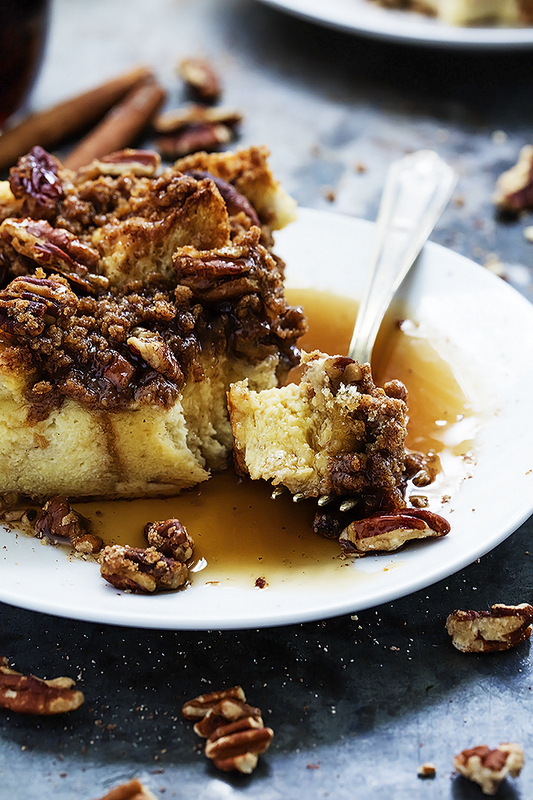 If you like your Easter brunch on the sweeter side, I can completely vouch for this wonderful Overnight Pecan Cinnamon French Toast Casserole from Creme de la Crumb, since I make for my parents whenever they come into town. It’s always a a big hit, and because it’s a bit indulgent, it’s perfect as a make-ahead holiday brunch recipe for your repertoire. I throw mine together in my bathrobe last thing before bed, then then give myself a big pat on the back the next morning when it comes out bubbly, caramelized, and divine. Related:9 impressive make-ahead Mother’s Day brunch recipes so she won’t have to lift a finger. 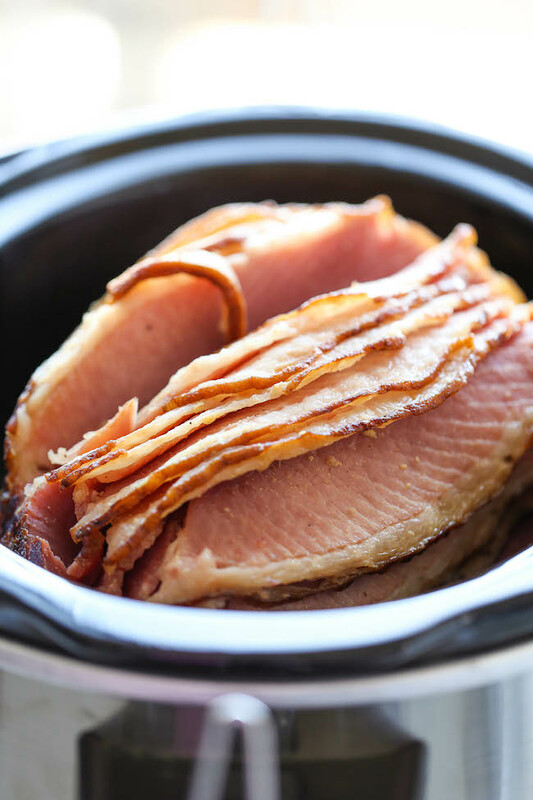 This Slow Cooker Maple Brown Sugar Ham recipe at Damn Delicious truly couldn’t get any simpler. Just pop it in your slow cooker right when you wake up in the morning and then baste every hour (or as often as you can). Hooray for yummy ham that leaves plenty of oven space for other goodies. Related: 10 holiday dinner recipes you can make in a slow cooker or Instant Pot. 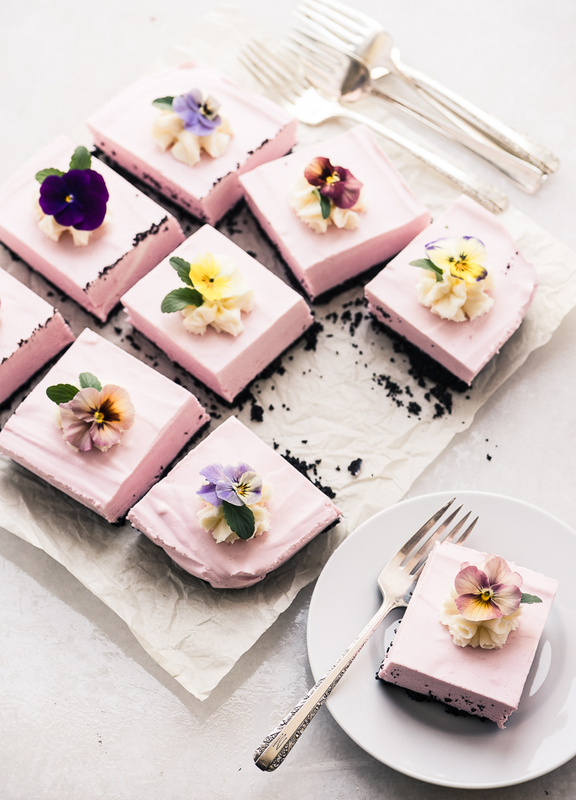 Yes, there are always dessert optios like Easter cupcakes and Easter cookies, but these No-Bake Strawberry Cheesecake Squares at The View from Great Island are just so gorgeous and special! And I am so happy to learn that they come together in just 20 minutes — provided you set aside at least 6 hours for them to firm up in the fridge. Plus the recipe makes use of mascarpone, one of my all-time favorite ingredients, and Easter brunch sounds like the perfect justification for picking some up at the store this week.